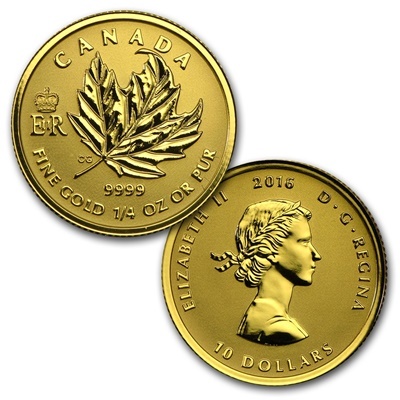 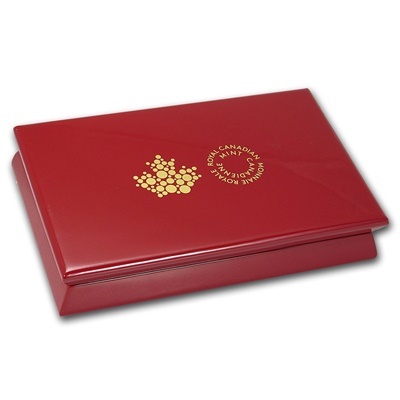 This set of beautifully-engraved Gold coins in 1 oz and fractional denominations brings together a Canadian icon and a royal emblem in a fitting tribute to Her Majesty’s historic reign. 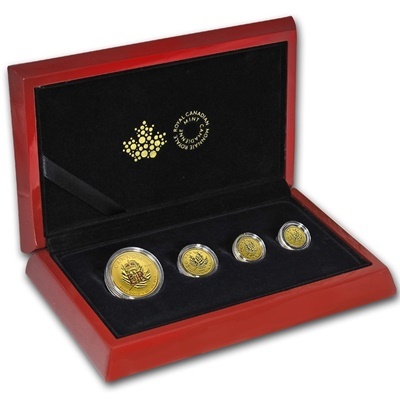 These Reverse Proof sets are always very collectable. 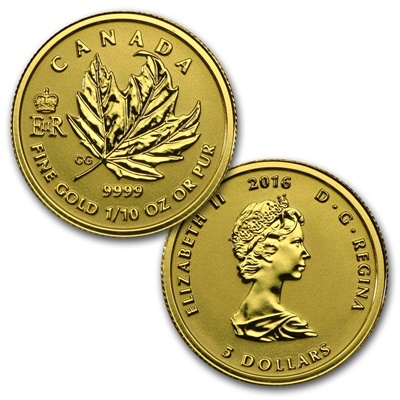 Contains the following sizes: 1 oz, 1/4 oz, 1/10 oz and 1/20 oz for a total of 1.4 oz of .9999 fine Gold. 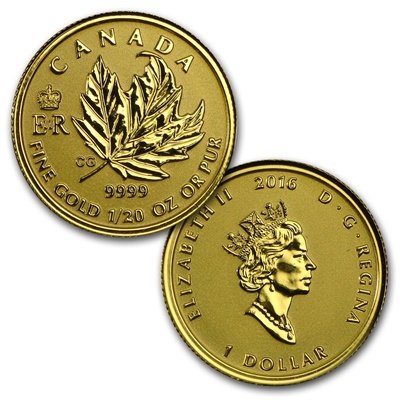 Obverses: Features a different right-facing profile portrait of Her Majesty Queen Elizabeth II on each denomination, along with the year and face value. 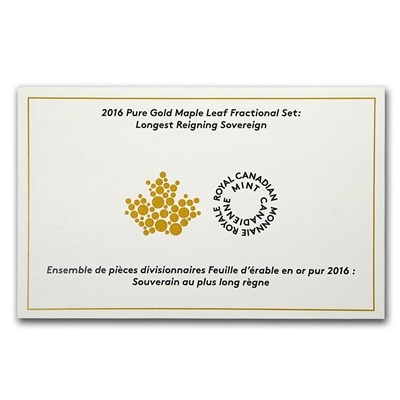 Reverse: Displays a beautifully engraved maple leaf carried by the autumn breeze. 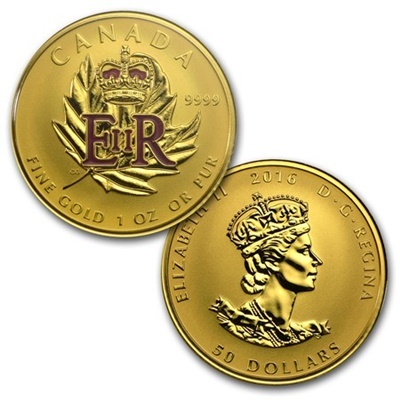 The 1 oz coin has an engraved Royal Cypher enhanced by the application of a regal purple enamel and is individually edge-lettered with a serialized number, ensuring each set is unique.